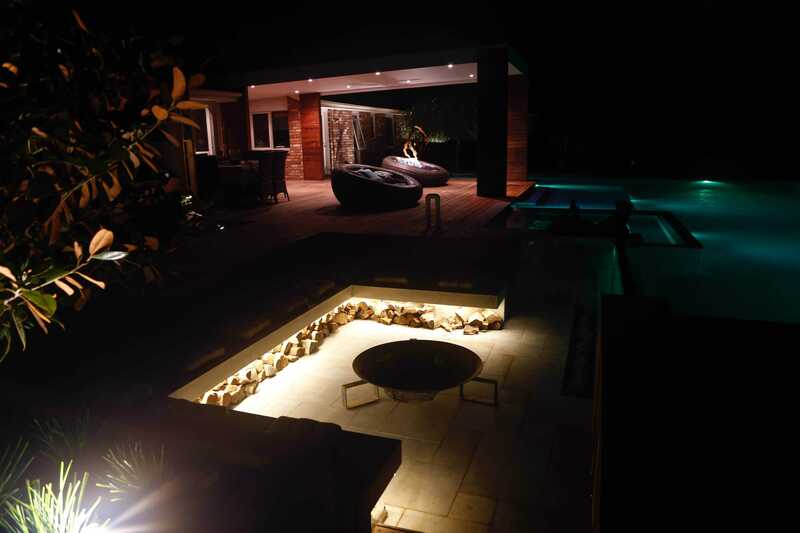 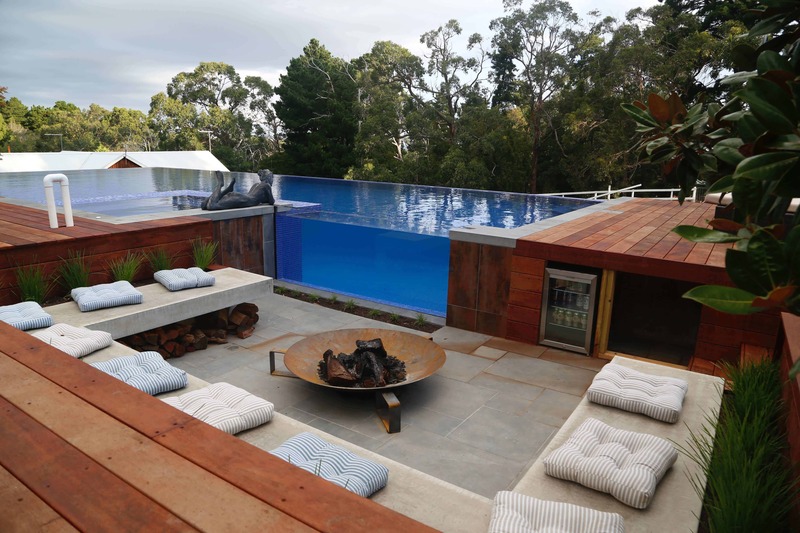 This beautiful outdoor entertainment space and pool were elevated to a whole new level after we installed outdoor lighting and garden lighting. 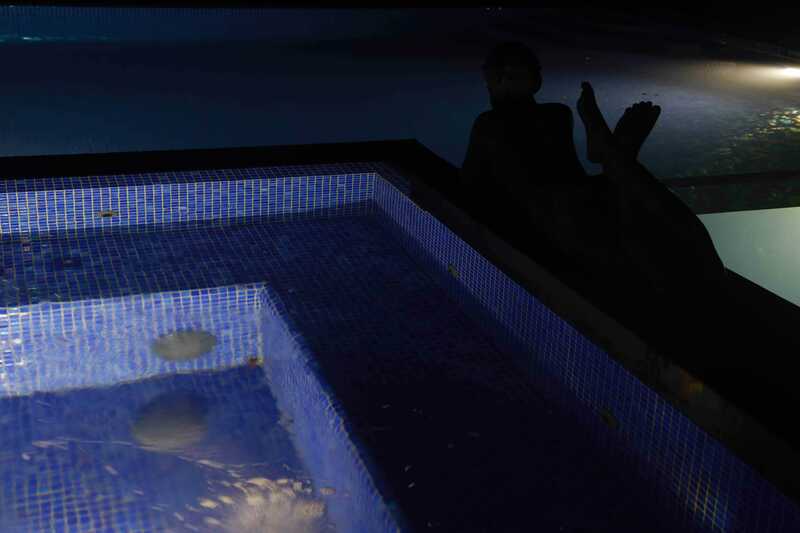 We installed LED strip lighting under the bench seats alongside the pool which provides a beautiful glow and enough light without glaring light in your face. 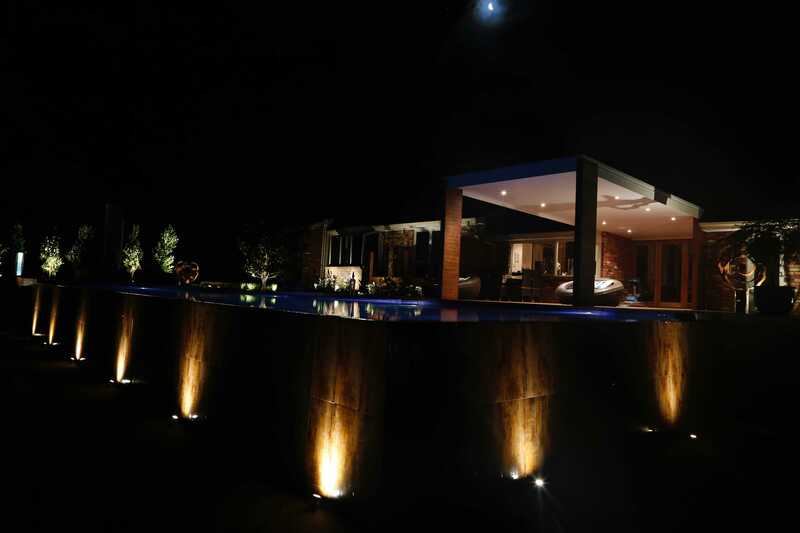 We connected the electrics of the pool equipment and also installed pond lights in the pool trough to uplight the edges of the pool. 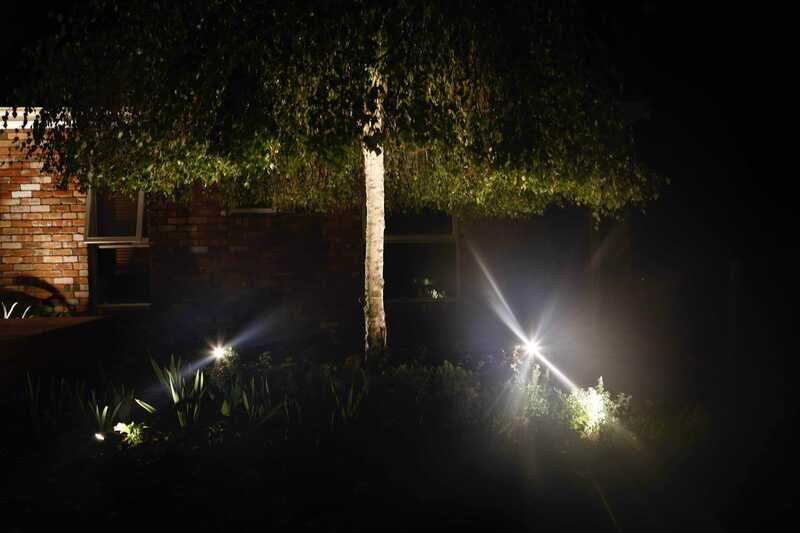 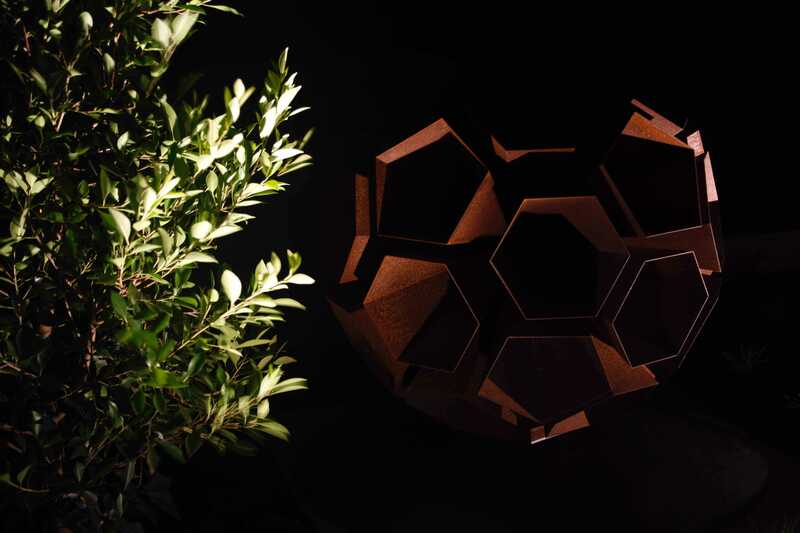 Our electricians designed where to position the LED copper garden lights to feature particular trees, plants and sculptural pieces. 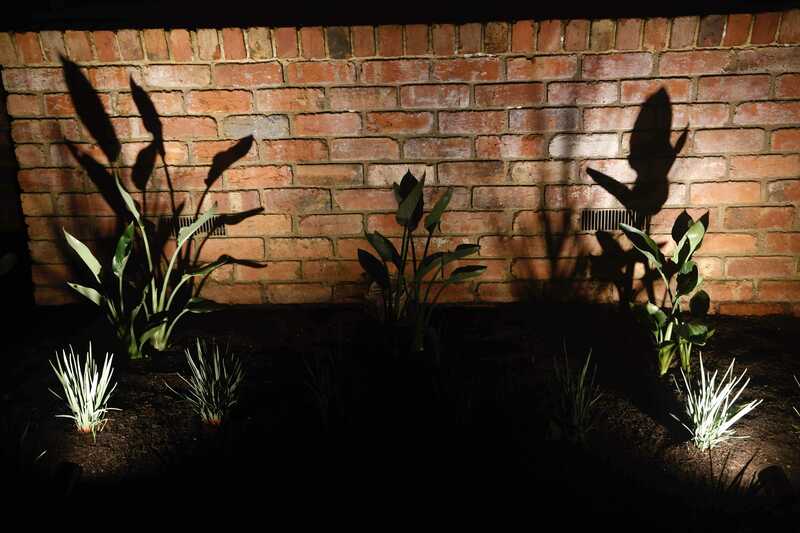 The end result is elegant, enough light highlighting the spectacular features of the garden but not so much to ruin the ambience. 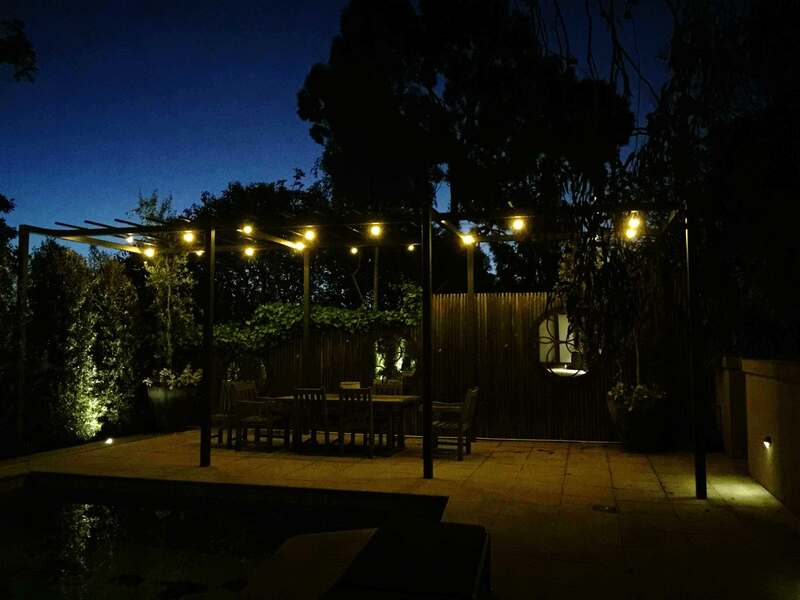 Festoon Lighting was a beautiful choice for above the outdoor alfresco dining area.